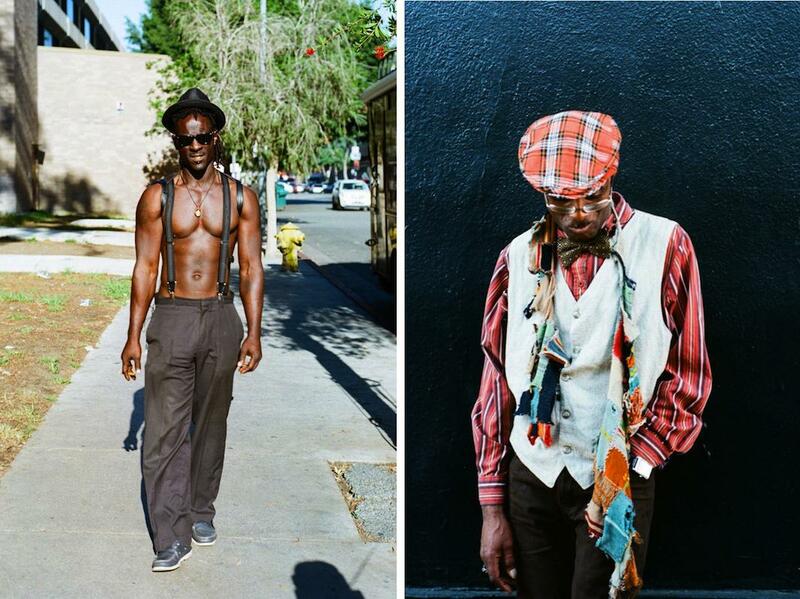 Géraldine Freyeisen photographs the fashionable people of Skid Row in her project, The Swagabonds. Left: Andre on Wall Street. 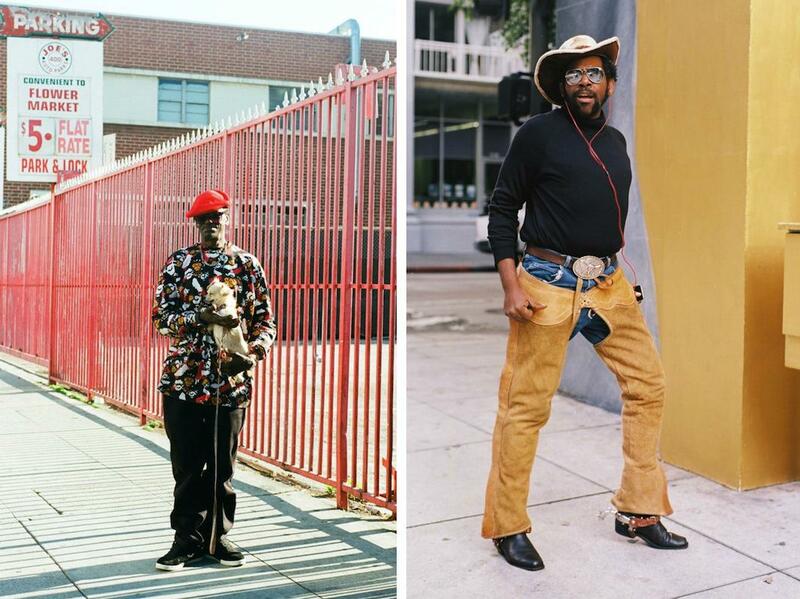 Right: Andre, posing by the King Eddy Saloon on 5th and Los Angeles. 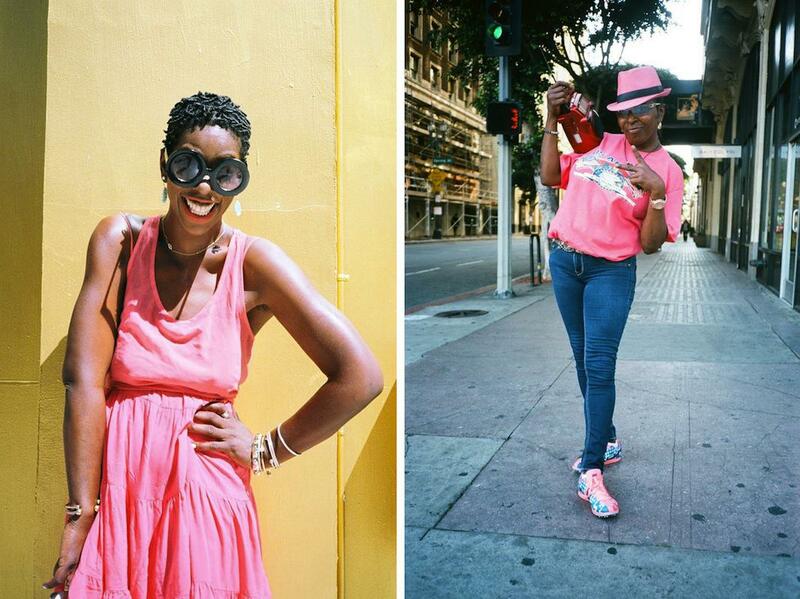 When she started visiting the area regularly last year, she noticed that fashion was a great way to start conversations with locals, and moreover, a critical component of their personal expression. In her project, “The Swagabonds,” she presents portraits of the colorful characters she’s met and their looks, an eclectic mix of street wear, rude boy, Rastafarian, and other styles unified by “the swag” element. Left: Kezi posing on Spring Street. Right: Tammy dancing on Main Street. Left: Kane, the King of Wall Street, on his bike. Right: JC, sewing on San Pedro Street. Freyeisen is determined not to document the community as an outsider. In service of that mission, she makes efforts to visit people in their apartments or tents, hangs out in nearby parks, and attends events—always waiting until the right moment to take her camera out of her bag. “Building this strong and genuine connection with the community was crucial to me. Without it, I would feel that I was a fraud,” she said. Left: Roosevelt and his dog by the fire station on 7th Street. Right: Osiris dancing on 6th and Spring. 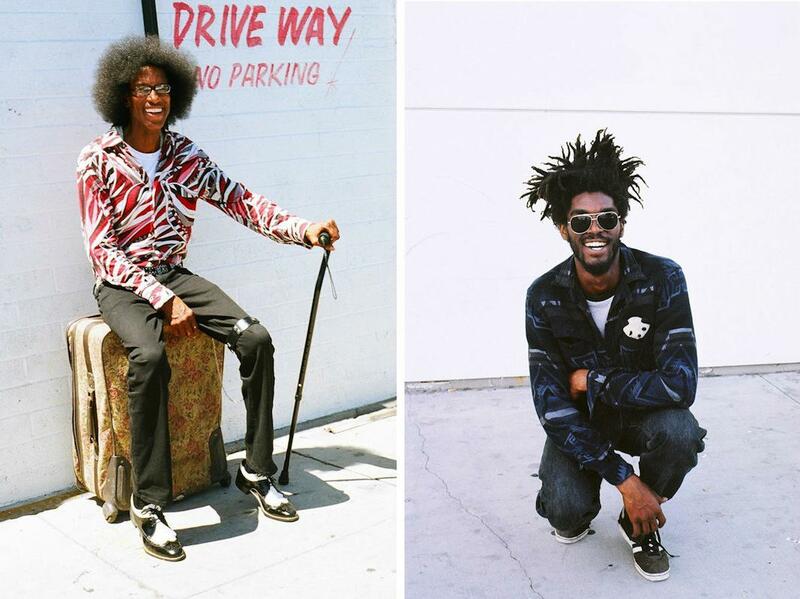 Freyeisen’s commitment to the people of Skid Row has evolved into another project, a collaborative fashion brand she’s also calling The Swagabonds. Artists from the area will customize secondhand clothes she’s bought, and they’ll receive one-half the proceeds from pieces sold online. You can follow the project’s progress on Instagram. While Skid Row is doubtless a hard place to live—marked by prostitution, drugs, and violence—it is nonetheless, Freyeisen said, a community, where moments of light and humor often emerge from the darkness. You can follow The Swagabonds on Facebook. Correction, March 18, 2015: This post originally misstated that Géraldine Freyeisen worked on the documentary Lost Angels: Skid Row Is My Home. She watched it. Left: Donald, aka the Flower Man, sitting on his luggage outside of Gladys Park. 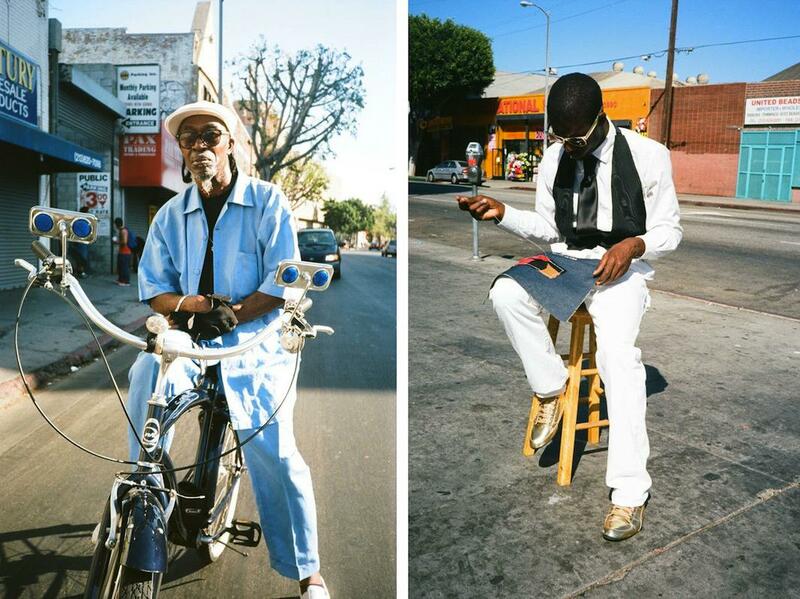 Right: Robert on his way to church on 7th Street.